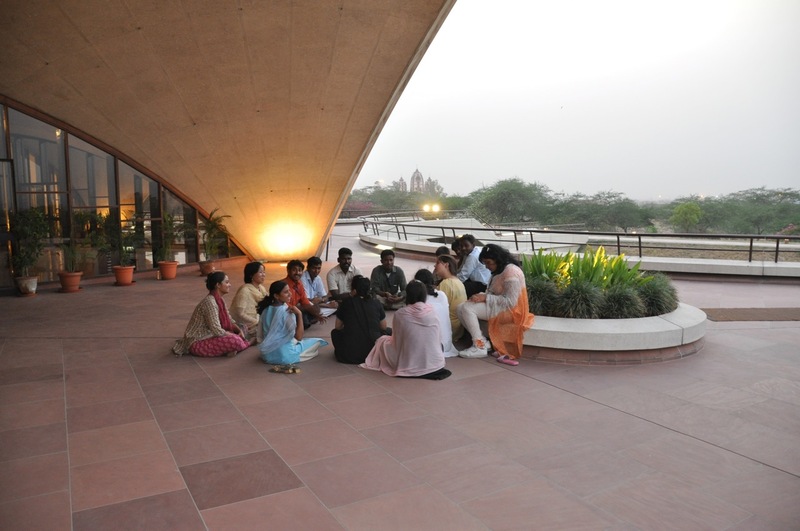 On the 27th of December 2011, I revisited the Baha’i House of Worship in India. Below is an account of my visitation and the recollections I have of my beautiful service. 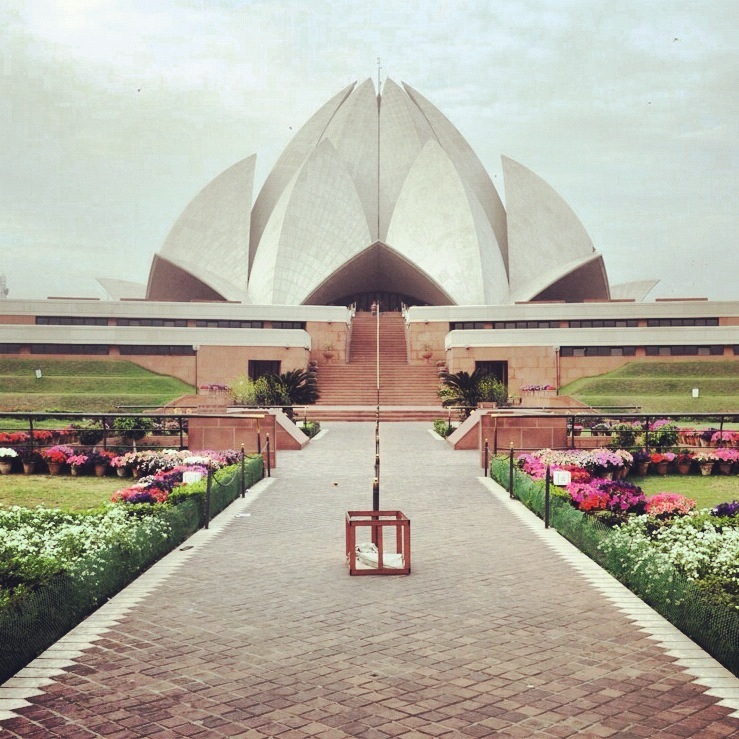 Its been almost one year since I last saw the Baha’i Temple in India, also known as the “Lotus Temple” or “Kamal Mandir” to the locals of India. I had the privilege and bounty of serving at this blessed place all throughout the year of 2010. When such a huge amount of time is spent in one place, it eventually leaves a mark in your heart that cannot be removed. So much has happened as I attempt to relive and reflect on those special moments a year ago. 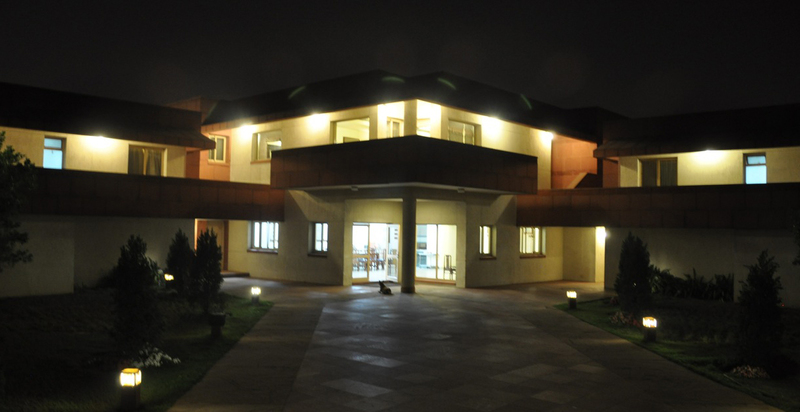 Firstly, I exit the New Delhi International airport and hire a taxi straight to the temple. 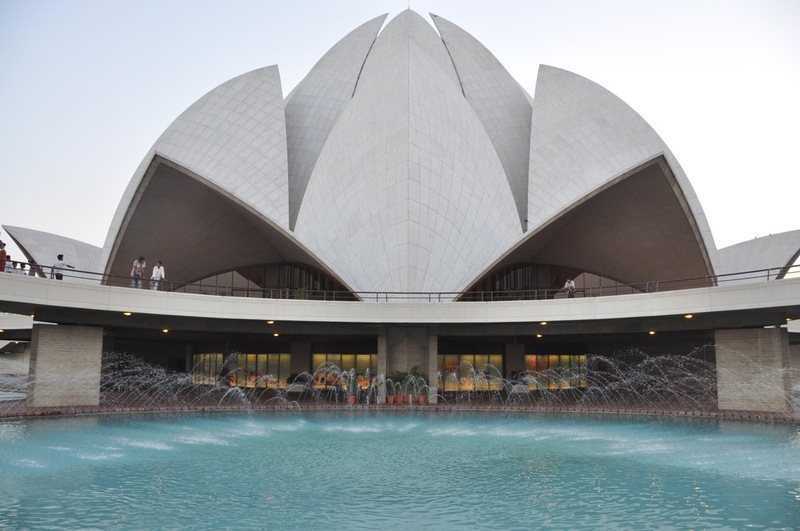 I tell the driver “I want to go to the Baha’i Lotus Temple.” He knows exactly what I am talking about and we are off into the busy road of New Delhi. It’s winter, but not quite as cold as last year. The smog is dense and it’s taking some time for me adjust with the breathing, but I’m surviving. Many things go through my mind, mainly the anticipation of seeing a beautiful white marble building. For a brief moment I stop and observe the craziness of India from my car window. It’s miraculous! All of it! How does this place work? What makes this go around? I just don’t understand and I certainly don’t have an answer to it. After forty minutes of sitting in a car we get very close to temple vicinity, my driver veers up the road and I can just about see the head of the lotus flower. My heart misses a beat, but I try to remain calm. I am close; so close “can this be true?” I question myself. There is traffic at the gate for the cars to go in and park. I tell the driver to let me off here and I’ll see him in a few hours at the car park. He obliges. I walk to the temple entry and show my bag for check up. In that moment, I wonder if any security member remembers me. Not yet. I make my way to the main temple pathway. I see it with such clarity it’s unbelievable. I quickly take out my camera and snap the thousandth photo of this edifice, which I never seem to get bored off. I walk and consciously take each step with great honour, but my face continues looking onward at the temple. Finally I am put in line. Behind me, stand a foreign couple, seemingly contemplating to not go inside. Perhaps it’s the lack of trust with giving their shoes. I’m not sure but I quickly intervene and confirm that they must go up and that the safety of their shoes is in good hands. 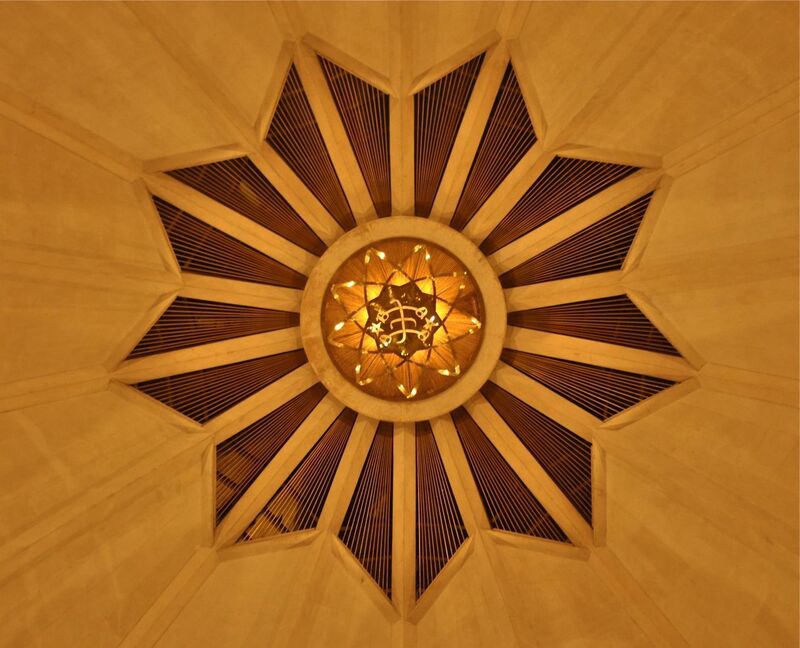 I explain that inside is a beautiful prayer hall where people of different religions and backgrounds can sit in a unified manner and pray to that one Almighty God, who is of unknowable essence. For a moment the couple are taken aback at my knowledge of this place. However, they have no idea that I used to serve here, that this was my home and refuge, that I am a Baha’i. With my confirmation they gladly except and decide to visit the temple. It’s a strange feeling to take off my shoes and be given a token number. I have not been through this process before; moreover I am a visitor and not a volunteer. I smile and thank the wonderful man working in the shoe keeping area. As I slowly stride up the stairs, I swiftly take another photo. I can’t help it! 1st entrance is closed. It seems to be busier than usual, so 2nd entrance is being used. The crowd is easier to maintain with 2nd entrance open. I walk straight into line. There is a young foreign volunteer who is nervously calling out “Please, one line!” most of the people listen and some don’t quite understand. As the young boy passes by me, I smile and whisper in his ear “Just say – Ek Line, they will understand”. The boy is new and inexperienced, nevertheless, I know in a few days he will get the gist of it all and speak with much strength and vigour. Briefing has finished for the 1st batch of visitors and now it’s our turn. The volunteers guide us into entrance two. Within a matter of minutes the entrance is full and the volunteers stop the line from additional people coming in. Briefing begins in Hindi, which I can understand. I listen very intently and after a few minutes it begins in English. I make eye contact with the volunteers, smile and thank them as I walk in. Briefing has always been one of the most special aspects of service for me. I used to do it in both languages for hours non-stop until my throat would give way. It was a gratifying experience and I absolutely loved it! All eyes gazing at me, all ears listening to what I say. I was the warm centre of attention. The words that came from my mouth were based around the Baha’i writings and shared the importance of prayer. It questioned people to think about what is prayer? “Prayer is a loving conversation with God; it’s like a ladder that brings us closer to God.” Why do we pray? “In the highest prayer men pray only for the love of God, not because they fear him or hope for bounty.” Briefing was there to set the scene for all visitors for what this edifice stood for, to be completely detached from themselves and the world around them. This prepared all visitors to walk in and immerse themselves in a deep meaningful conversation with their creator. It was special. I felt special being able to impart such knowledge to all who listened. This form of briefing was very new at the time when I had actually started service and it took sometime for all volunteers to become accustomed to it. I remember in the beginning I would have sweaty palms, a quivering voice and become very anxious whenever I was told to brief. This was due to the lack of faith in myself, however that all changed with time. Briefing is not necessarily easy to learn, it takes time, practice and it’s about having complete faith and focus in your ability to pass on a message from the core of your heart. Once that is achieved you have mastered briefing. 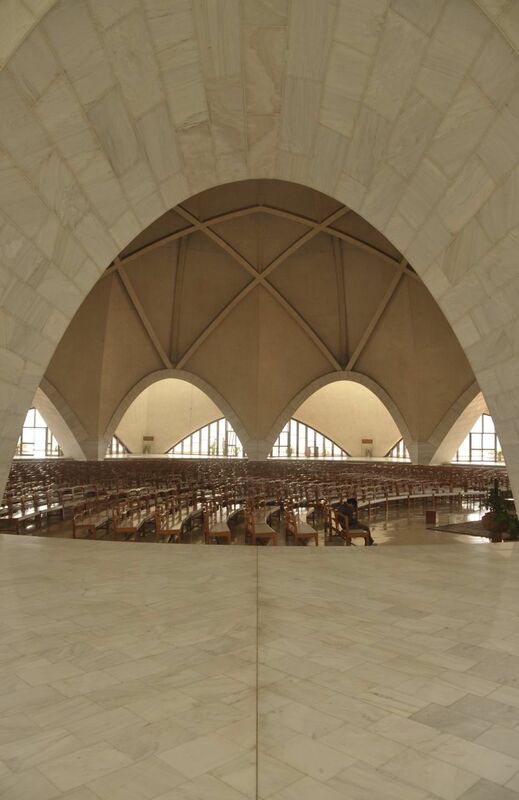 As I walk in I am in complete awe of the marble structure, the magnitude and exquisiteness of the interior, the curves and arcs as they meet at the centre of the Ringstone symbol. It’s all so beautiful and majestic. I search for a seat close to the front where there are few people sitting. Quietly, I sit and begin praying with the remembrance of God. I pray… and I pray some more… little by little my eyes well up and slowly a tear trickles down my face. I try my utmost best to keep everything in, but I no longer can. With each passing moment, I begin to reflect and reminiscent on my year of service. It’s another world, another time, another reality that cannot be fathomed, described or explained, it has to be lived and it has to be experienced in its true form. So what exactly is it about this place that gets me? How can I justify my service and experience? It’s hard to point out a singular reason. It could be everything and the whole thing. It’s ones journey of finding themselves through selfless acts of service. It’s ones way of learning and deepening as a spiritual being. It’s ones way of sharing the word of God and teaching to their best of knowledge. It’s ones way of meeting so many friends who have the same unified vision. It’s appreciating the culture; it’s appreciating the ample visitors that come and go as they wish. It’s India as a country. 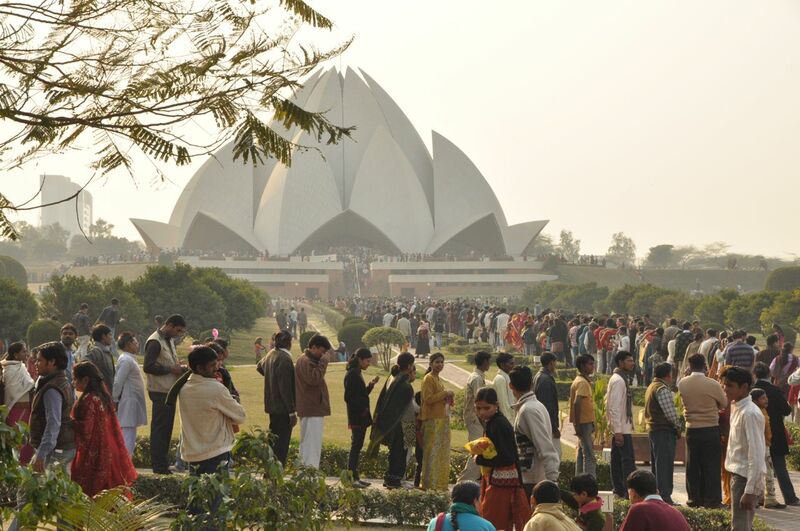 It’s love, it’s emotion, it’s beauty, it’s humility, it’s the smiles on the faces, it’s the array of people and the stark contrasts; it’s the air, it’s the diversity of religions and the prayers that are chanted under the one lotus. Come to think of it… it is absolutely everything! There is nothing more purifying, pleasing or soothing for the soul then to be selfless. Ones motive and intention ‘just to be of service’ for mankind and expecting nothing in return is the most beautiful and pragmatic thing any human being can do. 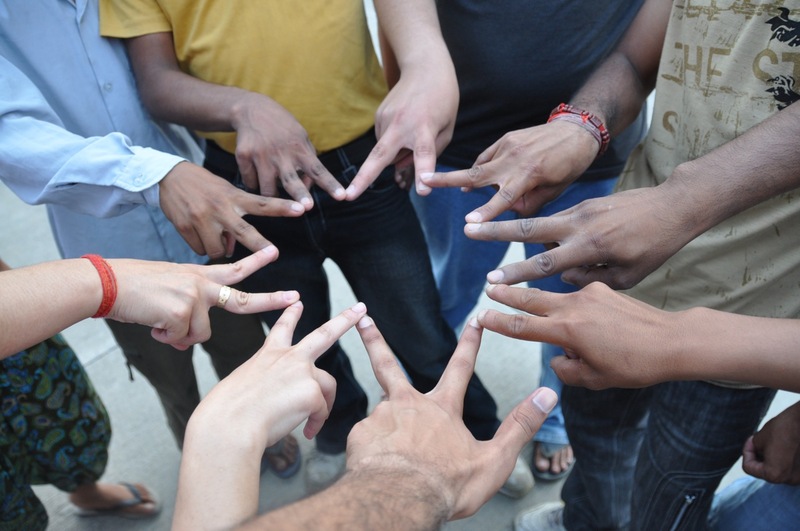 It is a reflection of who we are and need to be if we are to accomplish a united world.